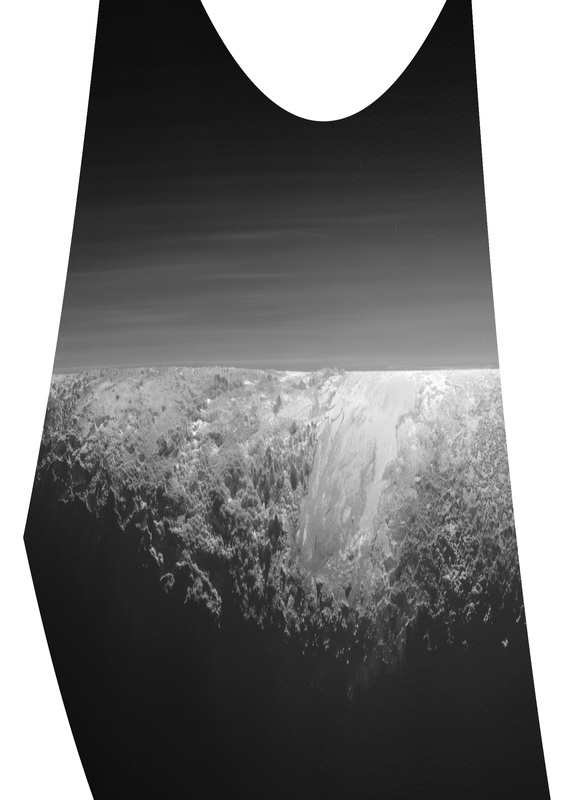 Amazing panorama back from New Horizons here. I had to apply the ‘polar coordinates’ tool in Photoshop to see what the atmospheric layers looks like. What’s happening on the right hand side of the horizon? It seems there’s a bank of fog or a misty mountain range…? or processing artefact?